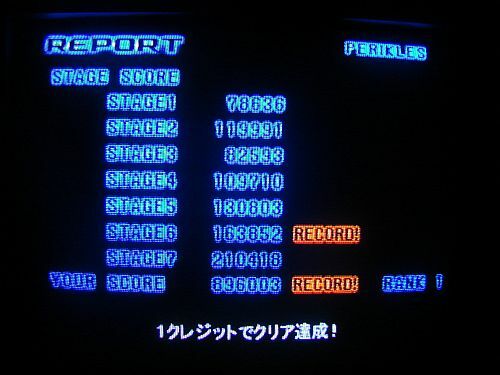 Welcome to the R-Type Delta high score thread! Thanks to DBH87 for maintaining the previous one. Please format your scores as follows. Last edited by saucykobold on Fri Jun 29, 2018 12:43 am, edited 2 times in total. 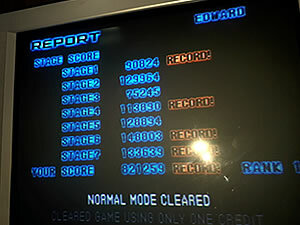 Over five years since someone posted a score for R-Type Delta? For shame, for shame! I didn't intend to die on the final boss (I was a split second away from a full dose and didn't pay attention to one overzealous flagellum) which lead into another death before clearing the game, but it boosted my score by a couple ten thousand points. Although the ideal point to milk would be the checkpoint before that I believe, the DNA strings are worth a lot. It's always a delight to play R-Type Delta every so often to soak in the peerless atmosphere. Although it's a comparatively easy game by Irem standards it feels a lot harder due to the psychological horror that unfolds in stages 5 & 6, I'm always on the edge of my seat during these. where's the R-Type Delta love?